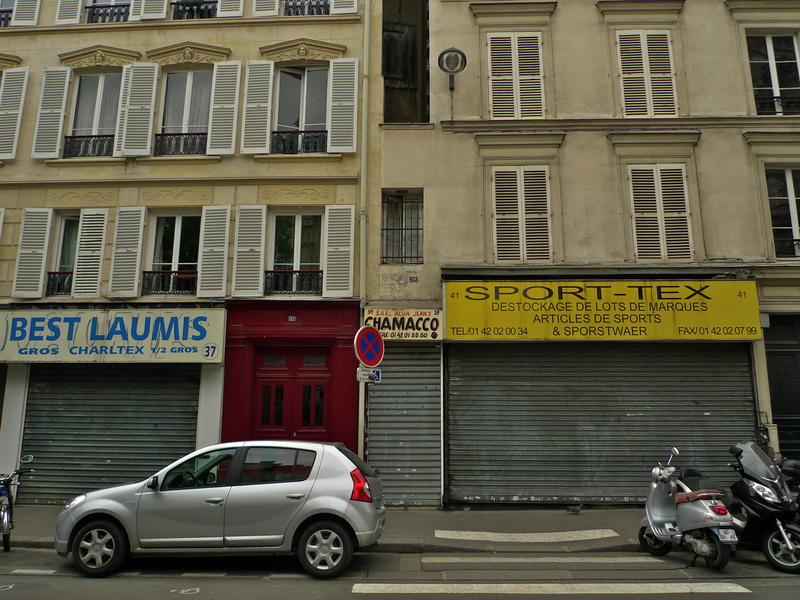 WE DON’T KNOW TOO MUCH about the smallest house in Paris but we do know that it’s wedged between two tall buildings in the Rue du Château d’Eau, at N° 39, and if you don’t know it’s there it’s easily missed. The house is approximately 1.10 metres wide and 5 metres high and it comprises a ground floor shop and one upstairs room. It is said that it was built as a result of a family quarrel. 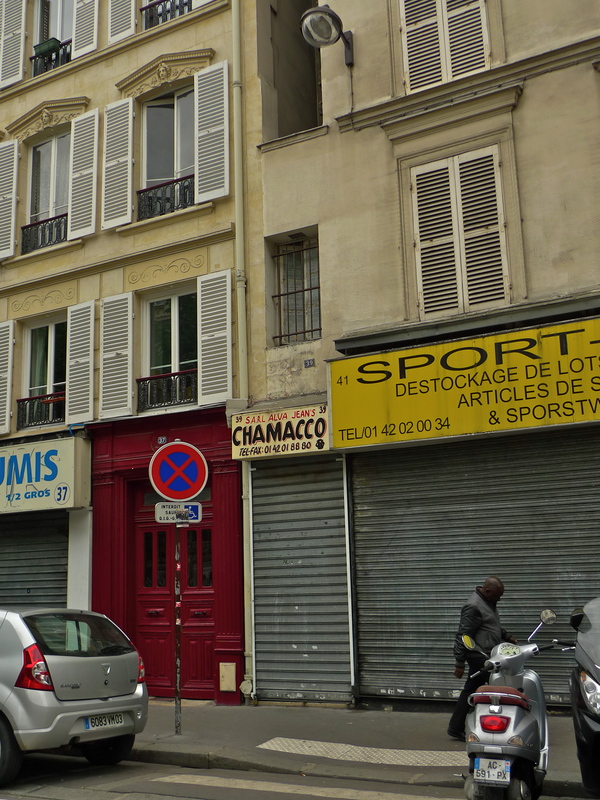 The land where the house now stands used to be a passage connecting the Rue du Château d’Eau to the Rue du Faubourg-Saint-Martin. It seems that in a dispute, the heirs to the land were unable to reach agreement so the owner resolved the problem by building this tiny house and blocking the passage. 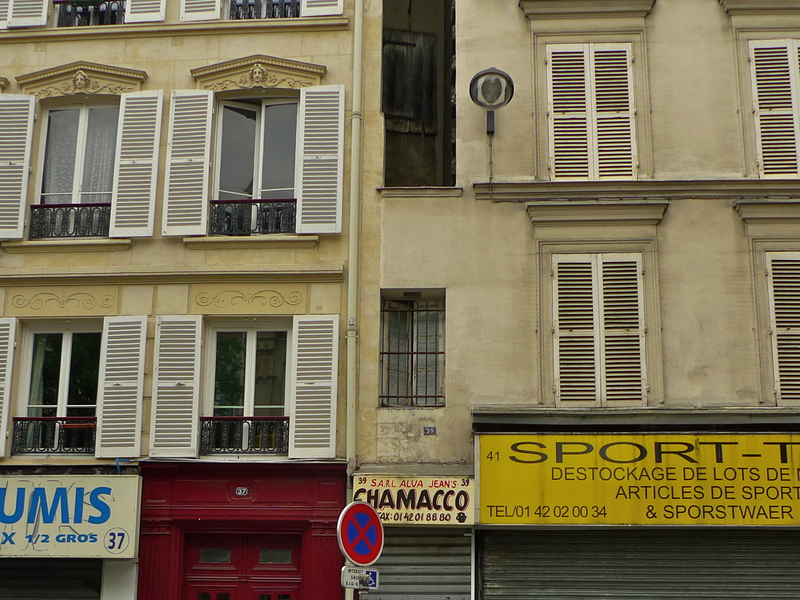 There is however, more to the Rue du Château d’Eau than just the smallest house in Paris. 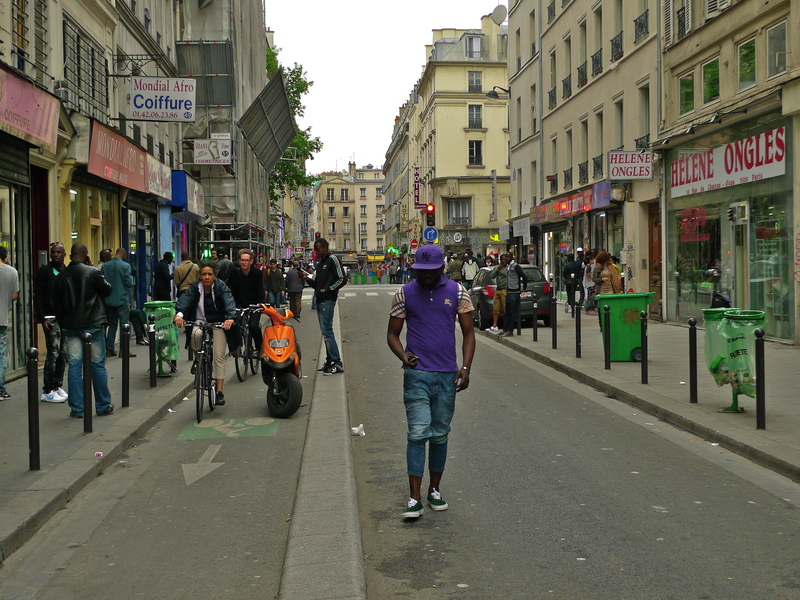 The street stretches for almost half a mile from the Boulevard de Magenta to Rue du Faubourg-Saint-Denis. I always think of this street as comprising two parts. 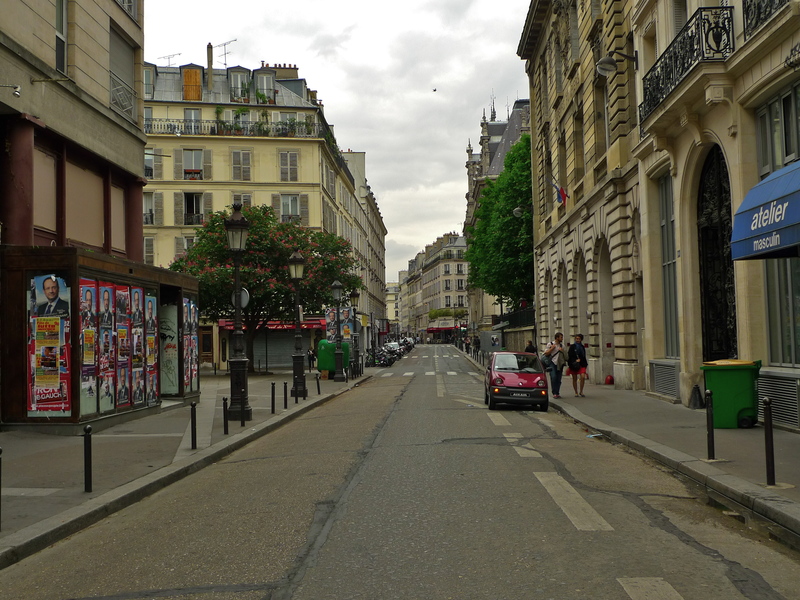 The first part, from the Boulevard de Magenta close to République to the Rue du Faubourg-Saint-Martin, is fairly quiet and very French. 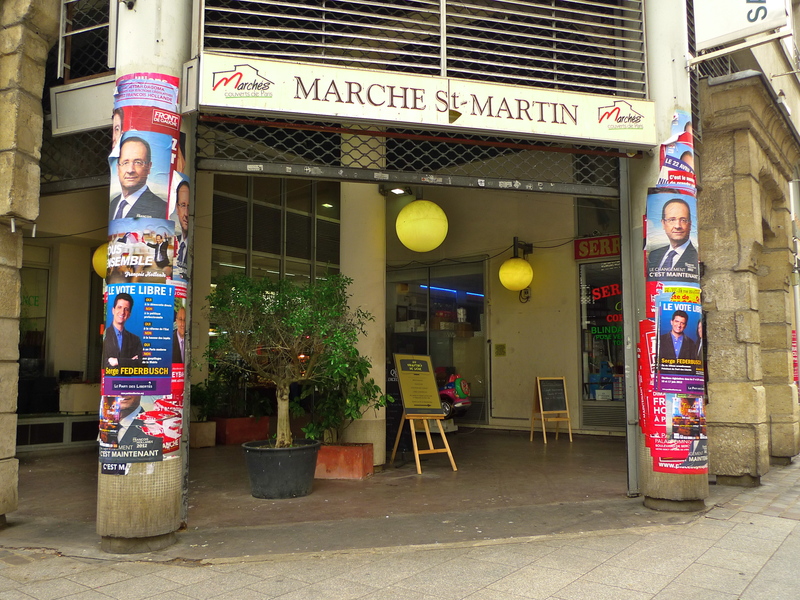 It includes the popular Marché Saint-Martin. 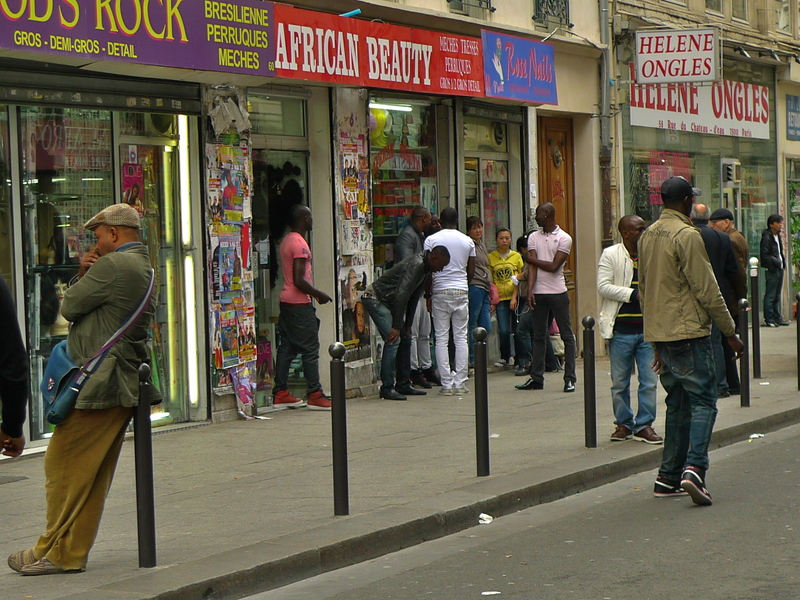 From the Rue du Faubourg-Saint-Martin to the Rue du Faubourg-Saint-Denis the street takes on a very different hue reflecting the multi-cultural atmosphere of this city. We move from France to Africa. 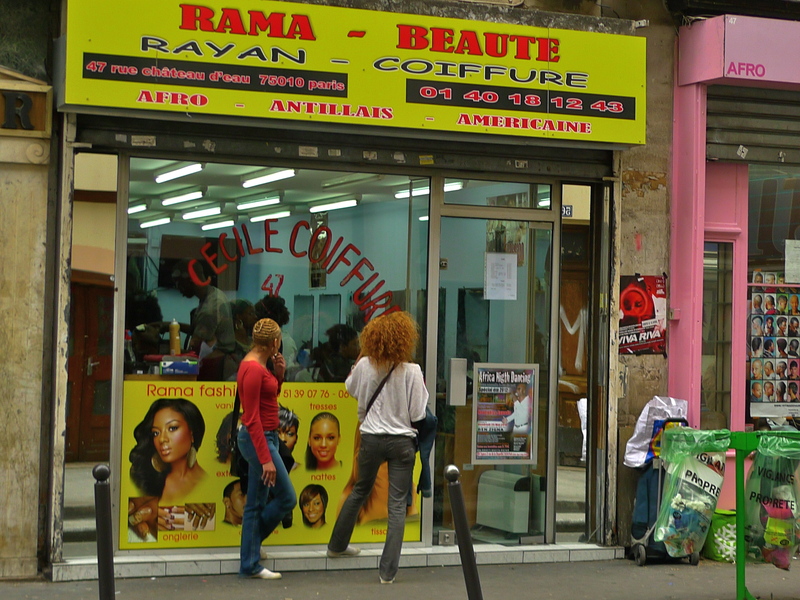 Hairdressers, beauty salons, nail bars, noisy African men, beautiful African women and a mélange of sounds dominate this part of the fascinating Rue du Château d’Eau.